Better yield by keeping temperature setpoints consistent. The A-25 Reactor package includes the Graco A-25 Proportioner, a 6 Kilowatt heater, Fusion AP, a 10 foot whip and a 50 foot heated hose. 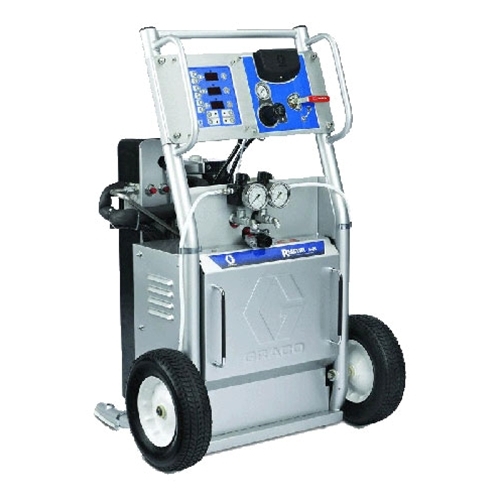 This is the perfect piece of spray foam equipment for spray foam roofing and foam insulation applications, as well as for sealing out attics and rim joists during construction. At Intech Equipment and Supply, we’ve continued to be a top Graco distributor in North America, ranking inside the Top 20 in 2010, 2011, 2012, 2013 and 2015- This is a result of countless hours spent with the pros at Graco, and the extensive product knowledge and expertise our support team has. Order a brand you trust, from a supplier you can count on- and focus on getting jobs done faster, with superior equipment and great technical support.